13 Burden Park is a lovely four bedroom house which is now under construction. This house type has been named the "Balmoral". 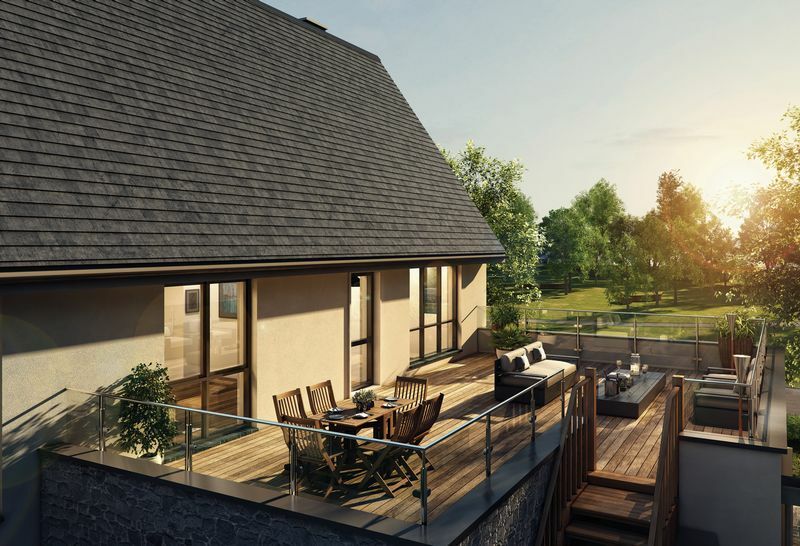 There will be just four of these exciting homes with their amazing roof terraces which extend to 22`8"x 19`6" with stairs down into the garden. Wow. Drawing inspiration from Scandinavian architecture and designed for contemporary open-plan living. Two sets of bi-fold doors create a breathtaking relationship between the living and the gardens. Bay Green enjoys an enviable, secluded location, nestled within the grounds of the prestigious Clevedon Hall and just a stones throw of the sea front where you can walk along the beach to a number of cafes and restaurants. The development is designed for modern living. Its architecture satisfies the most contemporary tastes, featuring extensive glazing and white render, whilst architectural detailing in weather-grey stone demonstrates a sensitive regard for the estates mature heritage. Services: All mains services included with gas fired central heating supplying the underfloor heating to the ground floor and radiators upstairs. 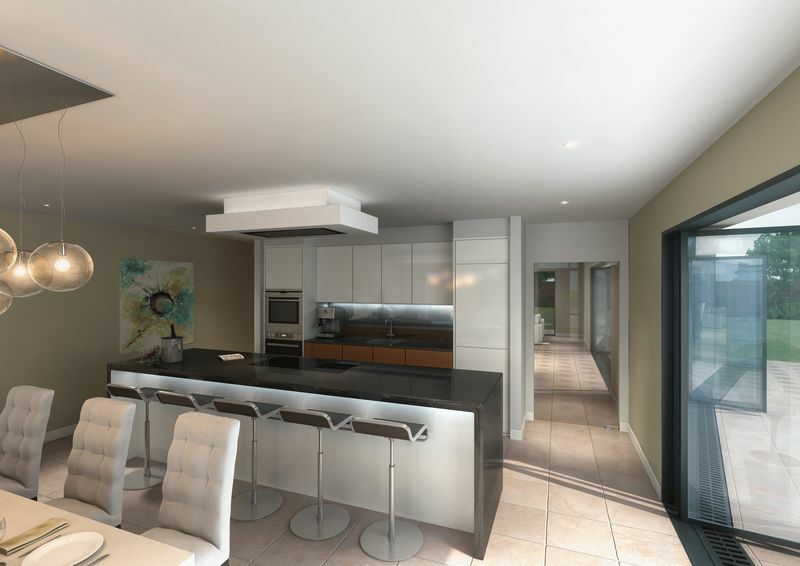 The CGI has been developed in good faith to give clients a flavour of how the development will look. Final finishes/detail may vary. Ask agent for details.